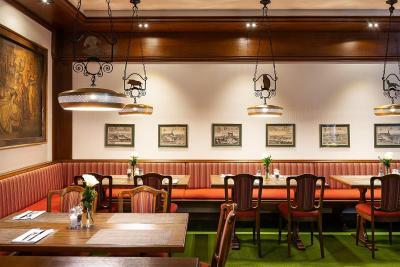 Lock in a great price for Bayerischer Hof – rated 9 by recent guests! Beautiful wood trim and cabinets in room. I had a small single room, complete with water, kettle, coffee and tea. Room overlooked the main street. There's an elevator, for those with big bags or those who struggle with stairs. Very clean. Lots of electrical power points. Internet was decent for checking email, checking into flight. I only had the opportunity to stay overnight for a flight layover. I would LOVE to come back for a longer stay. The property managers truly understand hospitality. Comfort in every corner and beautiful, welcoming decor. It was centrally located. 15 minutes from the airport. The free breakfast is a great plus. Beautiful location in Volkenschwand. Very family friendly. 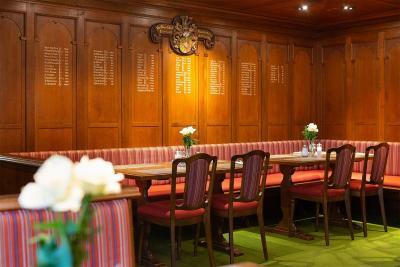 The staff was very accommodating and helpful. We felt like we were with family. 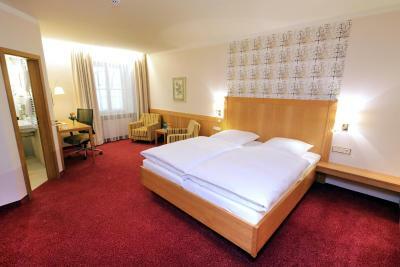 Comfortable room, good shower, clean, helpful staffenjoyed. 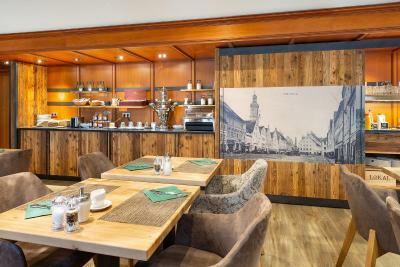 A traditional Bavarian hotel with old-world charm in a wonderful Bavarian town with easy access to the Munich Airport and to the areas S-bahn network. 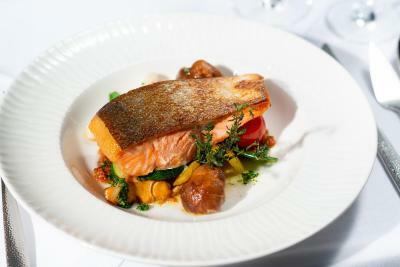 The hotel offers a fantastic breakfast and a top quality dinner menu, served by an outstanding staff. 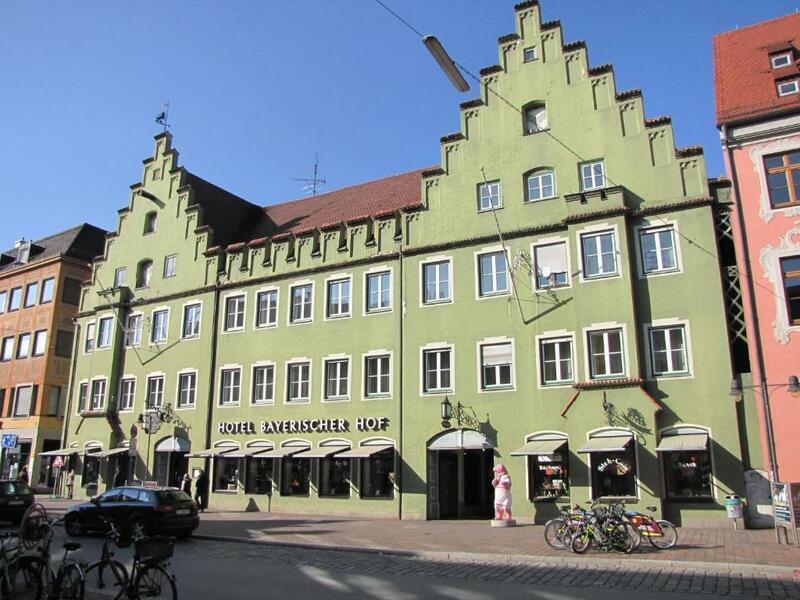 Outstanding shopping surrounds this hotel with Freising's cathedral only minutes away. Great location! Very clean and very friendly and helpful staff. Close to airport for a one night layover. Freising is a picturesque town, plus Christmas decorations in the hotel were lovely. Wish we could have stayed longer. Perhaps my favorite small family owned hotel in Europe. 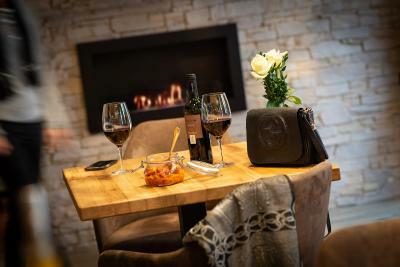 Wonderful hospitality, a great on site restaurant, a location in the middle of the Old Town. 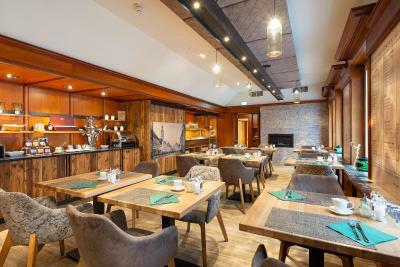 The Sielhöfer family is to be congratulated on a hotel that combines genuine Bavarian Gemütlichkeit with all the necessary modern comforts and design. Very much recommended. 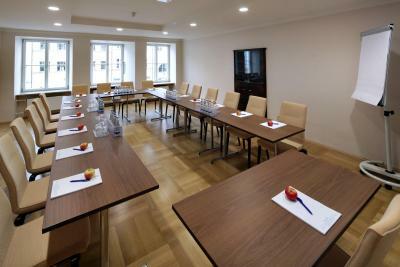 Bayerischer Hof This rating is a reflection of how the property compares to the industry standard when it comes to price, facilities and services available. It's based on a self-evaluation by the property. Use this rating to help choose your stay! 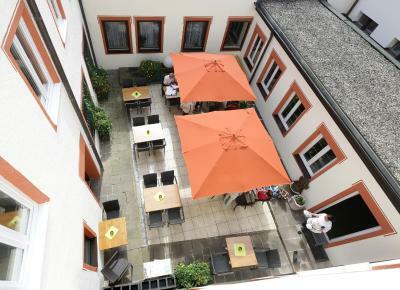 This 19th-century non-smoking hotel is on Freising’s main street, a 5-minute walk from Freising Cathedral. 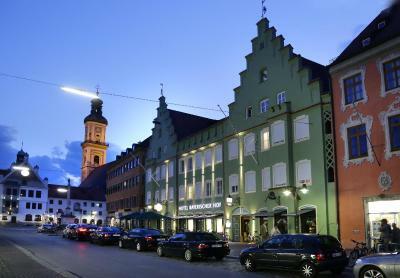 The 24-hour front desk can arrange a shuttle to/from Munich Airport, just a 15-minute drive away. 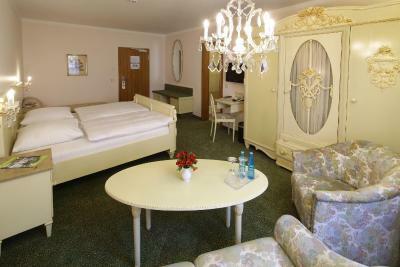 Built in 1834, the Bayerischer Hof Freising has classically furnished rooms, as well as modern rooms renovated in 2013. 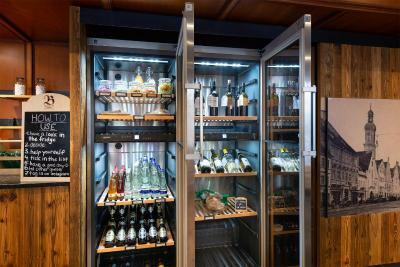 They feature cable TV, a private bathroom, and Wi-Fi is free in public areas. 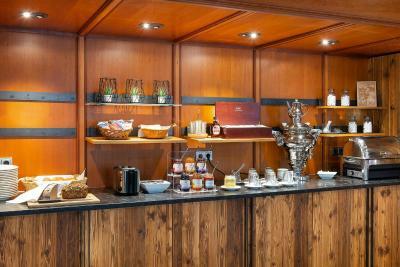 A buffet breakfast is provided each morning in the spacious restaurant with its traditional wood paneling. 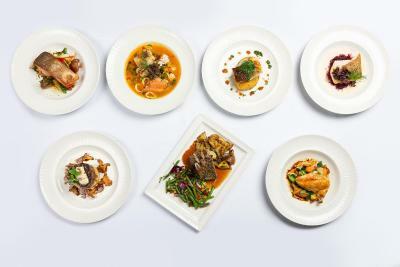 Regional Bavarian dishes are also served here. Freising Train Station is a 10-minute walk away, and S-Bahn trains take just 25 minutes to reach Munich Main Train Station. 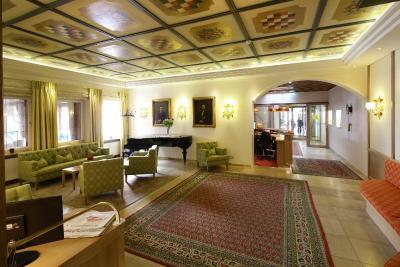 Guests can also rent a bike to explore the surrounding Upper Bavarian countryside. 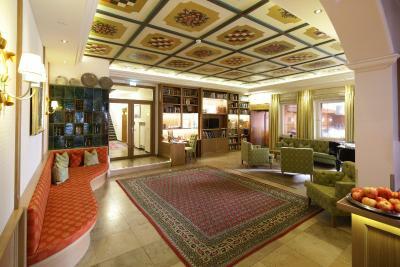 Just 7 minutes from the A92 highway, the hotel is a 35-minute drive from the centers of Munich and Landshut. 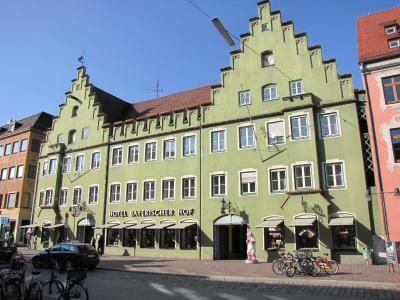 This property also has one of the top-rated locations in Freising! Guests are happier about it compared to other properties in the area. 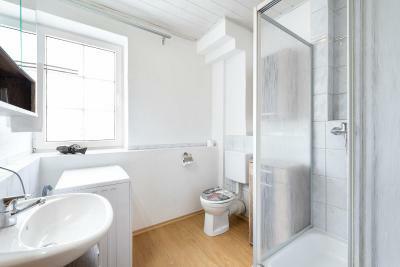 This property is also rated for the best value in Freising! Guests are getting more for their money when compared to other properties in this city. 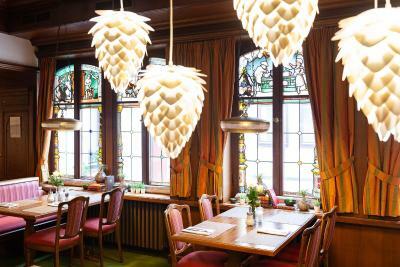 When would you like to stay at Bayerischer Hof? Renovated in 2013, this modern room includes a flat-screen TV and a desk. The private bathroom offers a hairdryer and slippers. Please note that extra beds are not available in this room category. Private parking is available on site (reservation is not possible) and costs EUR 7 per day. 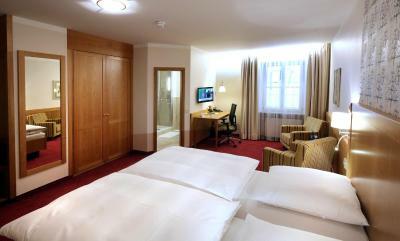 Renovated in 2013, this modern room includes a large double bed, satellite TV and a desk. The private bathroom offers a hairdryer and slippers. 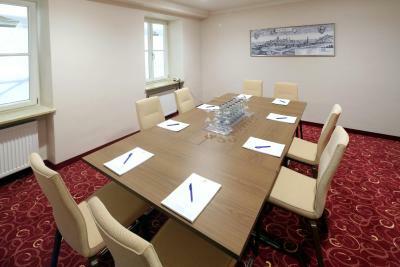 Renovated in 2013, this modern room includes satellite TV and a desk. The private bathroom has a hairdryer and slippers. This room features more space and an armchair. 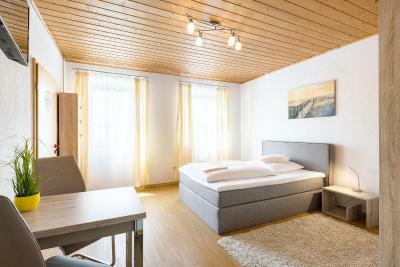 This air-conditioned room is renovated and includes cable TV, free WiFi and a private bathroom. This small air-conditioned room is renovated and includes cable TV, free WiFi and a private bathroom. 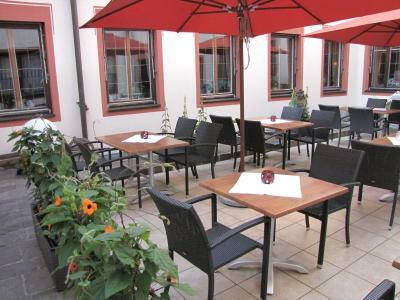 The apartment is located in Schönmetzlarstraße, a quiet and convenient residential street in the center of Freising, near shops, restaurants, the post office and train station. 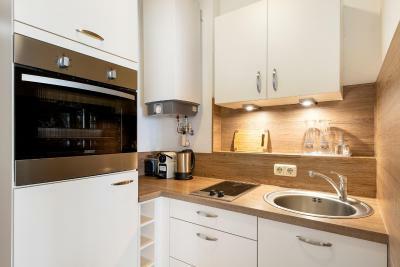 The apartment consists of a living/sleeping area, a small and fully equipped kitchen, as well as a bathroom with shower, WC and washing machine. The apartment consists of a living/dining area, a bedroom, a small and fully equipped kitchen, as well as a bathroom with shower, WC and washing machine. 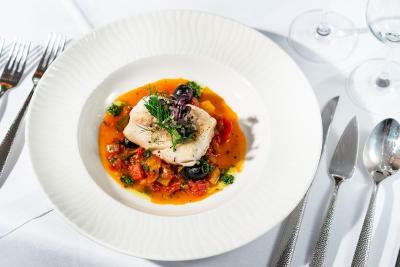 House Rules Bayerischer Hof takes special requests – add in the next step! A EUR500 damage deposit is required on arrival (around USD562.17). This deposit will be fully refunded 7 days after check-out, as long as there isn't any damage to the property. Bayerischer Hof accepts these cards and reserves the right to temporarily hold an amount prior to arrival. Please note that the hotel reserves the right to withhold a security deposit in case of damage. A damage deposit of EUR 500 is required on arrival. That's about 562.17USD. This will be collected by credit card. You should be reimbursed within 7 days of check-out. Your deposit will be refunded in full by credit card, subject to an inspection of the property. Staff miserable and unhelpful. 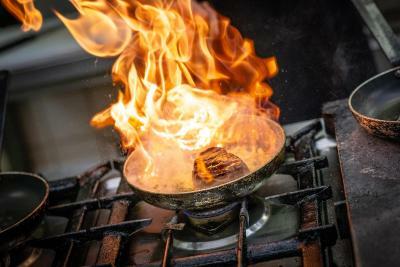 No restaurant open at weekends, could not get hot drinks once breakfast had finished. Were unable to order eggs at breakfast. The hotel was very nice compared with the price. I like its style and the room was very clean. 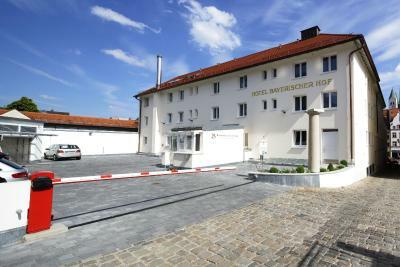 That I didn't have more time to enjoy the hotel and to explore Freising. The large bathroom window was clear. There's nothing up above the window so no one can look in, but it was a bit unnerving. It would be great if the window was frosted. Internet could not sustain a VoIP call home. Found the receptionist a bit robotic!! Sorry , but a smile and bit of banter would help. 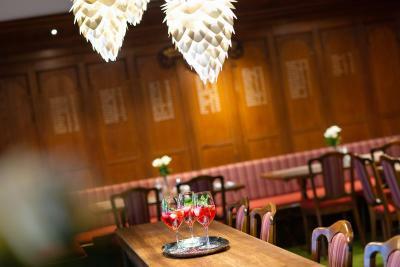 We both love this Hotel for its location, comfort and its relaxed atmosphere. 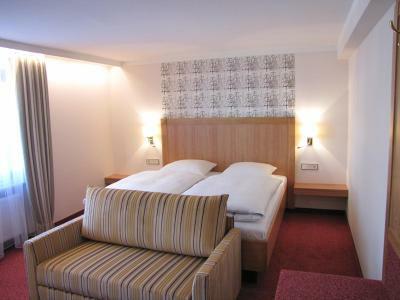 The Rooms are spotless and the beds are very comfortable. 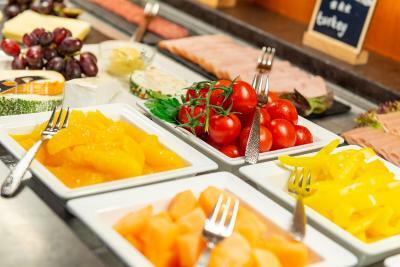 The Breakfast is very good and they whole experience of the hotel is excellent. The staff there were extremely helpful and polite. The lady at the front desk also speaks excellent English. 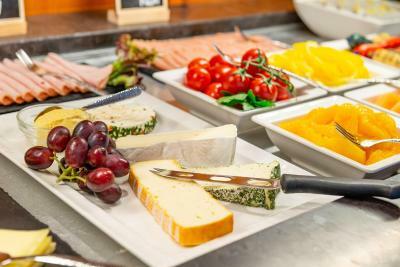 Breakfast was very good with quite a few options of bread and scrambled egg. This was way better than what I had in London a few days earlier at only half the price. A excellent hotel in the middle of town. 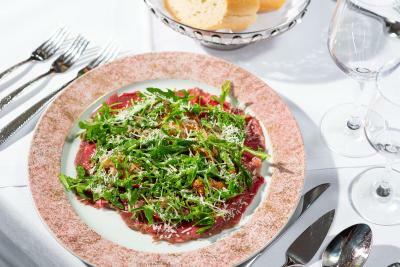 Dinner was great! Amazing breakfast, excellent service from all staff. spotlessly clean.